Cyclone dust collectors are centrifugal collectors which use cyclonic action to separate dust particles from the gas stream. In a typical cyclone, the dust gas stream enters at an angle and is spun rapidly. The centrifugal force created by the circular flow throws the dust particles toward the wall of the cyclone. After striking the wall, these particles fall into a hopper located underneath. 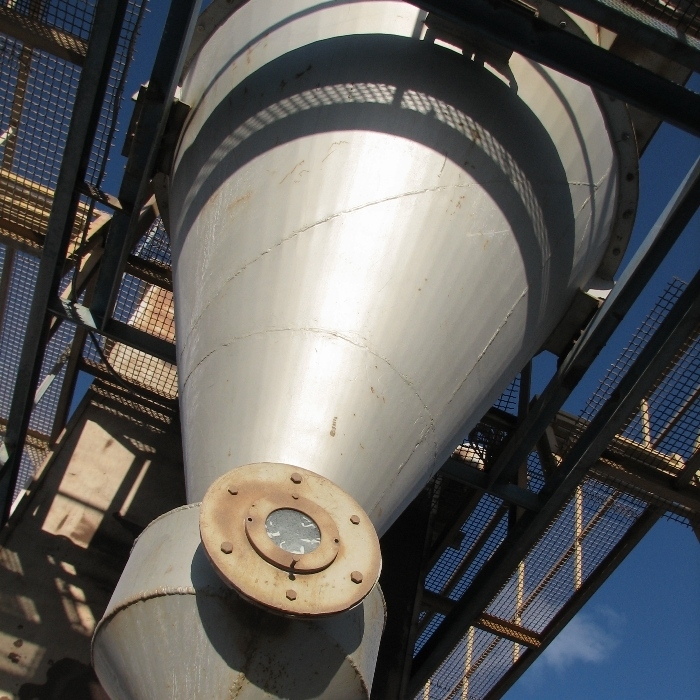 Cyclone dust collectors are commonly used as pre-separators to decrease the amount of dust reaching the final collector. 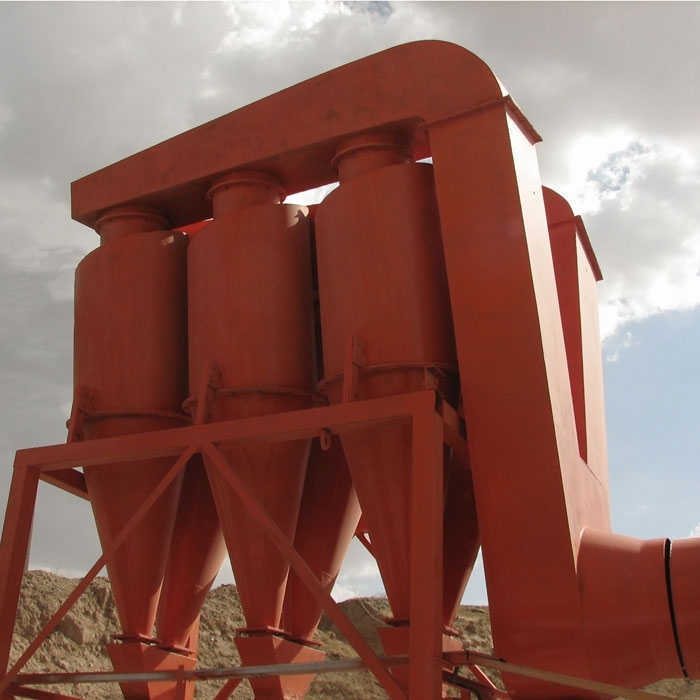 These separators are very suitable for collecting moderate to coarse size particles. 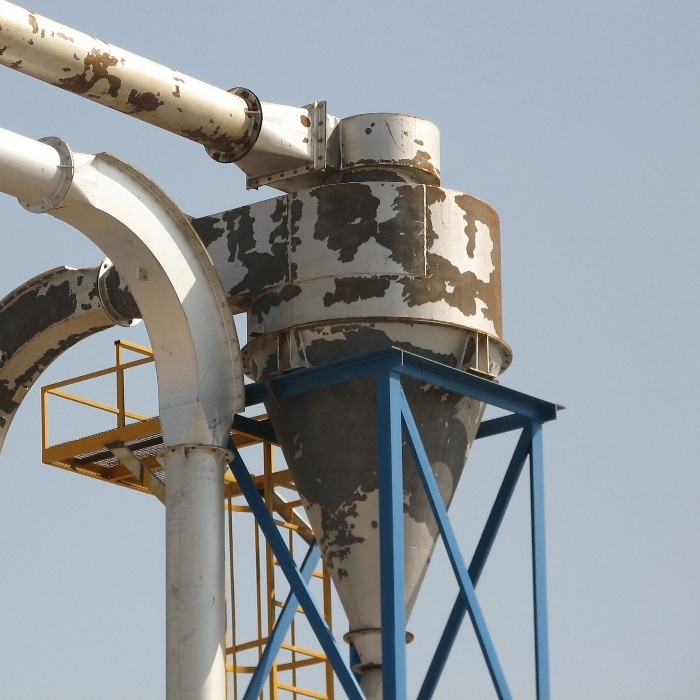 Cyclone dust collectors are found in all types of power and industrial applications, including pulp and paper plants, cement plants, steel mills, petroleum coke plants, metallurgical plants, saw mills and other kinds of facilities that process dust. 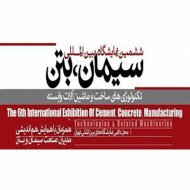 Heavy duty construction for long life and minimum maintenance.